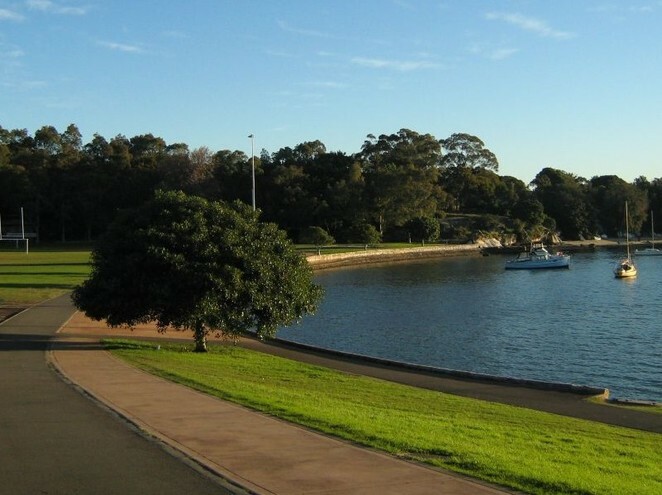 Running along the shores of Iron Cove Bay, this path is approximately 7km long and it is shared among pedestrians and cyclists. 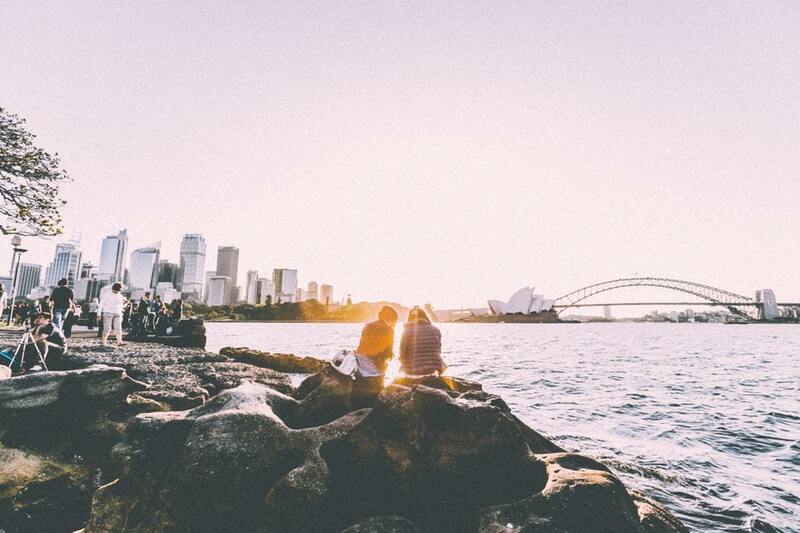 It's one of the most beloved harbourside tracks, because you get plenty of refreshing waterfront views for the whole 7km – the Bay Run path never deviates more than 20 metres from the bay. The track is flat and very well maintained, so it's one of the safest and lightest rides. Also, it's an enclosed loop, so you can finish the ride in the spot where you had started it, passing through nine parks along the way. We just can't get enough of the tranquil blue. This is another easy waterfront ride, going on for 7.5km along the Ettalong shore and finishing at Umina beach. You'd first need to catch the Ettalong-bound ferry at Palm Beach to get to the path, so you're heading for an adventure that takes you across land and water for glorious views. There are many beachfront cafes and restaurant to stop at along the way and you can also take your swimsuit along and have a dip to cool off. The Cooks River Pathway is another shared path, one of the oldest in Sydney. It is centrally located in the Sydney metropolitan region, so it's the perfect choice for you if you want to be in a natural environment, but closer to home. The path is 23km long and there's so much to see or stop for along the way: tranquil parks and reserves, recreational amenities and facilities, various town centres and railway station. The sights change and there's many opportunities to stop for coffee and food, so you can really make a day of it with this one. This one's a bit more challenging and suitable only for mountain bikes. The path is 9.5km long each way, following the elevated platform of the Narrow Neck Peninsula, near Katoomba. From there, you can gorge in the views of Blue Mountain National Park and it's guaranteed to be a breathtaking experience. At one point along the ride, you'll feel like you're floating because the land seems to disappear on either side, so this is definitely one of the more adrenaline-pumping rides. If you're up for beautiful views of Greater Western Sydney from an off-road trail, you'll definitely want this 29km loop ride. The loop takes you through calm parklands and a few high points, plus you can stop by Calmsley Hill City Farm to experience a bit of rural Australia. Don't forget to check out the Greystanes aqueduct, which was built in 1888. This is one of the newer trails, as it was completed in February 2015. Following 8.4km of the Narrabeen Lagoon's shoreline, it's definitely a valuable adventure, and you will be passing through several wildlife protection areas. Owls, diamond pythons, black swans, fishing bats – there's plenty to see and snap a photo of here. Ecosystems vary along the way, so you'll be seeing shallow seagrass meadows, floodplain forest, and coastal salt swamps. The ride is smooth and flat, so you'll be free to take in all the views while cycling. A leisurely ride through the backstreets and waterways of the inner west, the Three Creeks ride won't take you deep into the wild; nevertheless, it's a mega fun adventure to have close to the city. This trail is great and safe for families with kids, but there are a few busy intersections to watch out for (mostly around Parramatta Road). It's a smooth and relaxing ride, with a lot to see and some great cafes to stop at along the way. The three creeks are Whites Creek, Johnson's Creek and Orphan School Creek, serene oases of nature inside a greater urban setting. Put on your helmet, polish up your bicycle to make sure it's safe, and get ready for an active day in the sun.